Remote Access Vehicles, a Western Australian coachbuilder, has successfully converted a Hino 500 series GT 1322 into an off-road bus capable of seating 34 people. A growing demand in mining sector to improve safety and reduce light vehicle traffic is said to be the reasoning behind the conversion. The manager of Remote Access Vehicles, Josh McKenzie, says the group "identified the Hino as a good-value, reliable base for our designs compared with other products on the market". "The GT drives extremely well, and the high GVM definitely works in our favour when fitting the cabin," he adds. McKenzie notes "there is a definite move to these vehicles for safety purposes on mine sites and in mining applications". "There has been a big demand in the past six years due to the mining boom - there are a lot of mining staff who need to get around. "If there are too many light vehicles on site it creates a hazard - this is where a sturdy off-road bus really comes into its own. "Reducing the number of vehicles on the road by transporting workers in one vehicle really makes sense, and the Hino GT-based bus is perfectly suited to this purpose," he says. 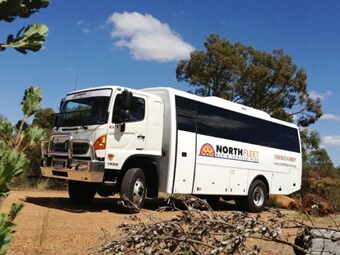 Karratha-based Northfleet Bus and Vehicle Hire recently took delivery of the custom four-wheel drive bus. Managing Director Michael Simm says that since the company started servicing mines in 2002, it has experienced a huge increase in demand. "We have a fleet of 140 buses at the moment. We run Hinos for our four-wheel drive units because they're great to drive and have a better ride than the competition," he says. "I'm a truck mechanic by trade, and I've found that Hino's are the easiest to work on, they're the most reliable and have the easiest access to parts." 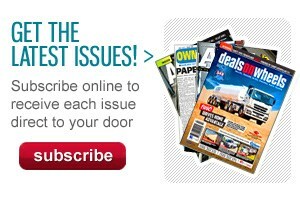 To view the specifications for the aforementioned Hino 500 visit www.NewTruckSearch.com.au. 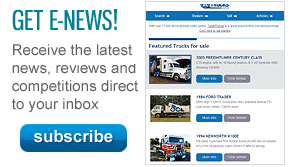 To enquire or purchase one of 500+ Hinos for sale, including this 2012 Hino 500 series GT 1322, visit www.TradeTrucks.com.au.